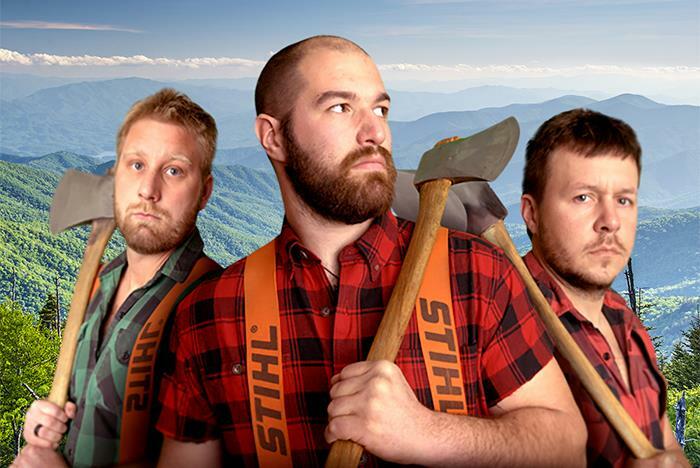 The Lumberjack Feud returns to the Smoky Mountains! 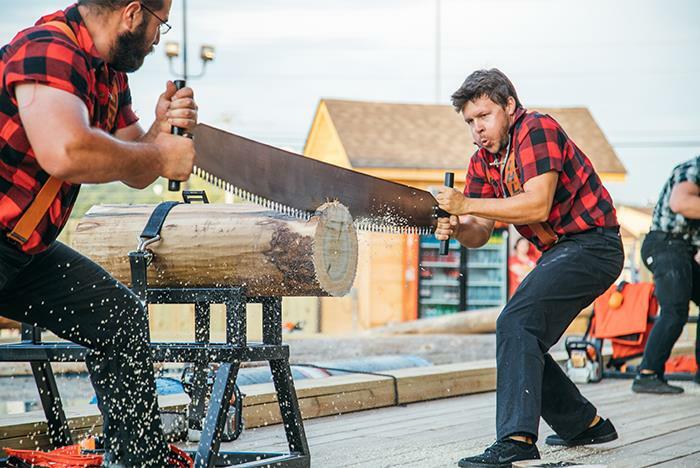 Immerse yourself in a family-friendly competition as you root for either the Dawson or McGraw lumberjack family as they compete in feats of strength, agility, skill, and more. 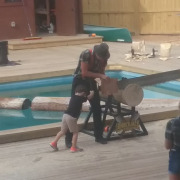 This popular Pigeon Forge show is performed at the 350-person outdoor venue home at Lumberjack Square and also includes hands-on activities for the little ones. This is not a dinner show. 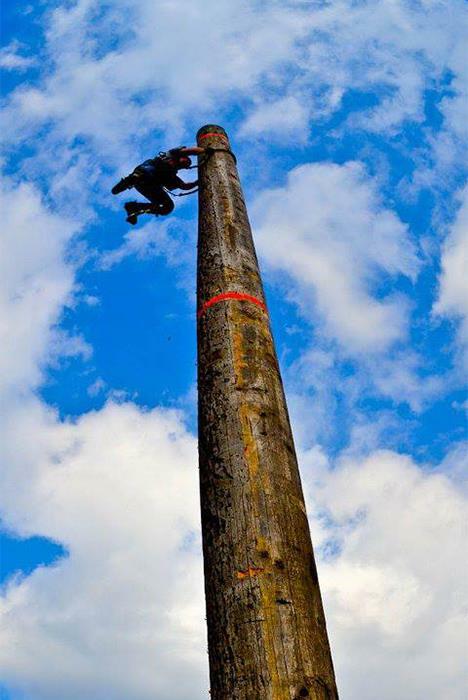 Features 11 competitive lumberjack events such as axe throwing, log rolling, and speed climbing. 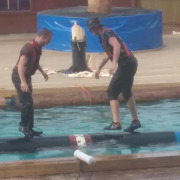 Audience members can participate in an exciting, interactive experience on stage. Special intermission event just for kids! The venue is an outdoor, 350-seat climate controlled covered grandstand with padded seating. 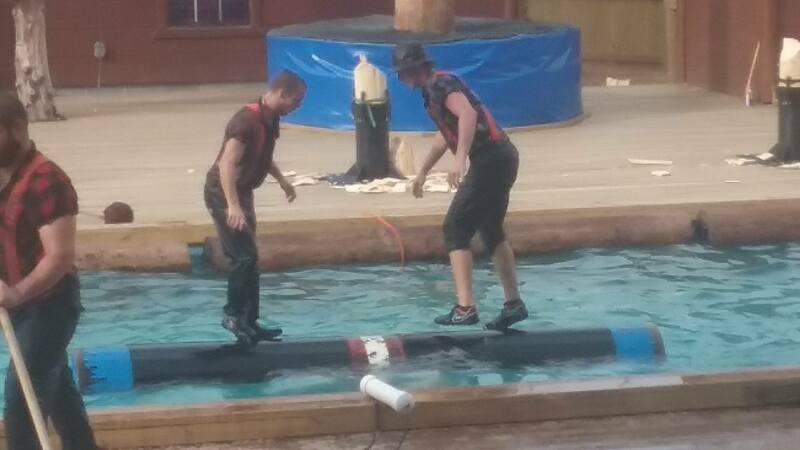 Shows are performed daily, rain or shine. Several restaurants including Smoky Mountain Brewery, Calhoun's, and Five Guys Burgers are nearby. 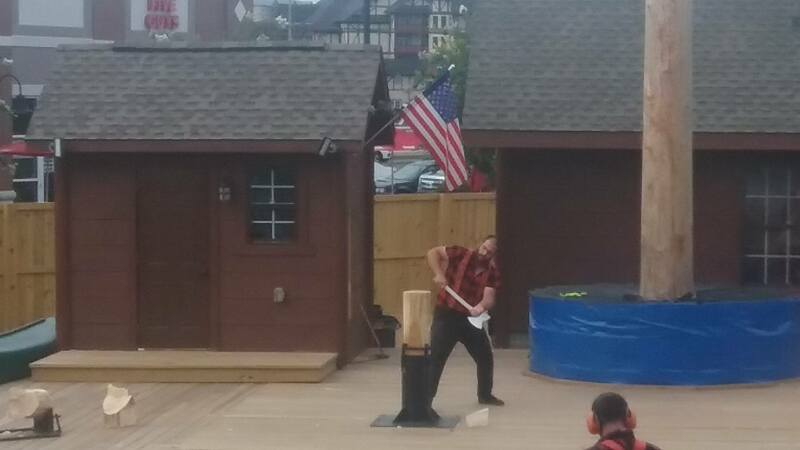 Wildly popular Lumberjack Feud returns to Pigeon Forge! 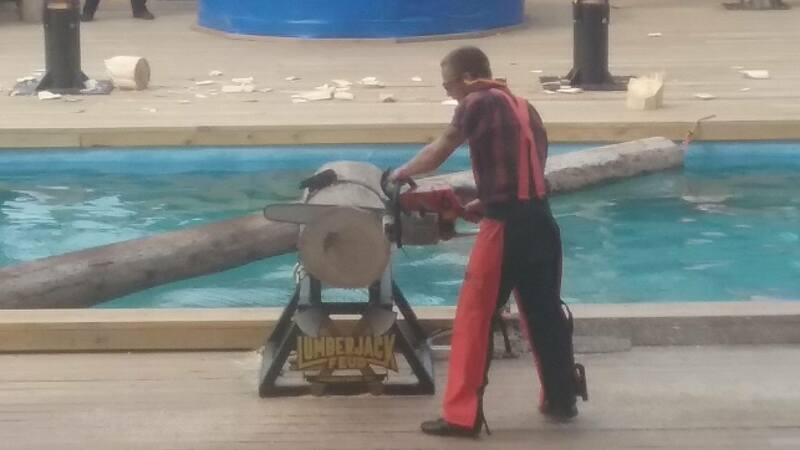 Rip-roaring, high-energy family fun guaranteed for both the young and the young at heart. 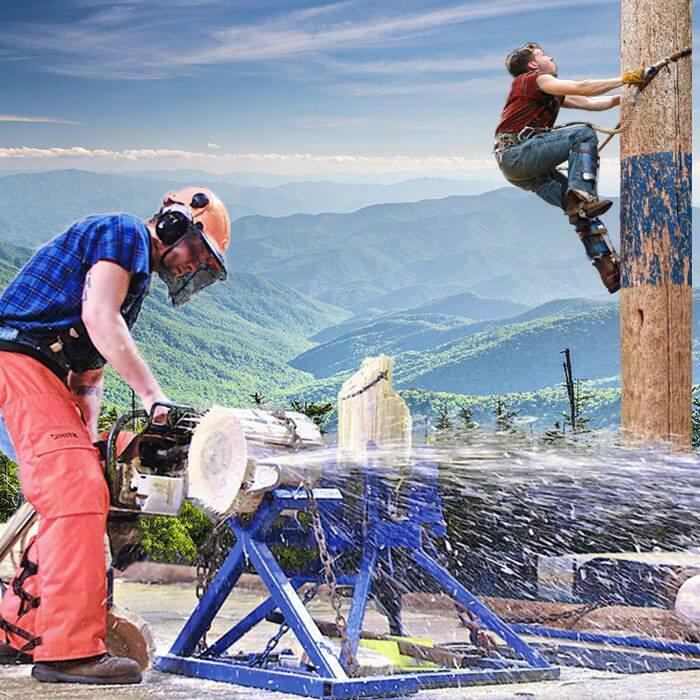 Journey back in time to the days before the establishment of the Great Smoky Mountains National Park when the logging industry ruled the area. 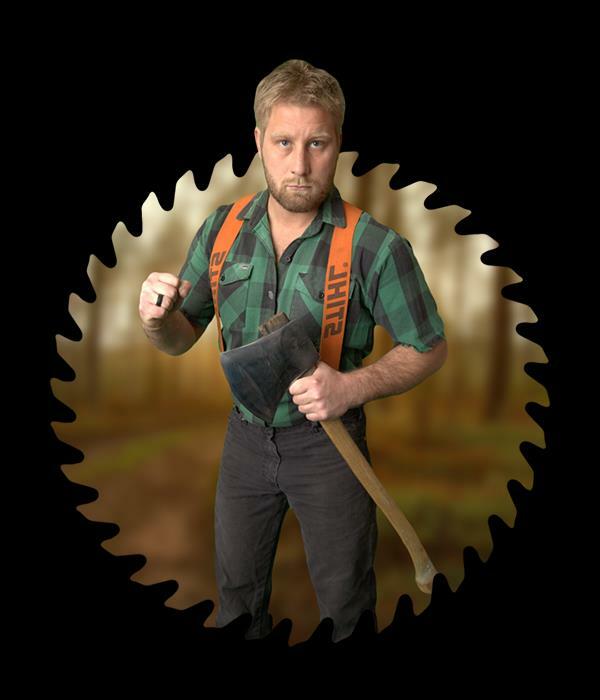 The show features an “end-of-season” feud between two families whose names were synonymous with the timber business – the Dawsons and the McGraws. 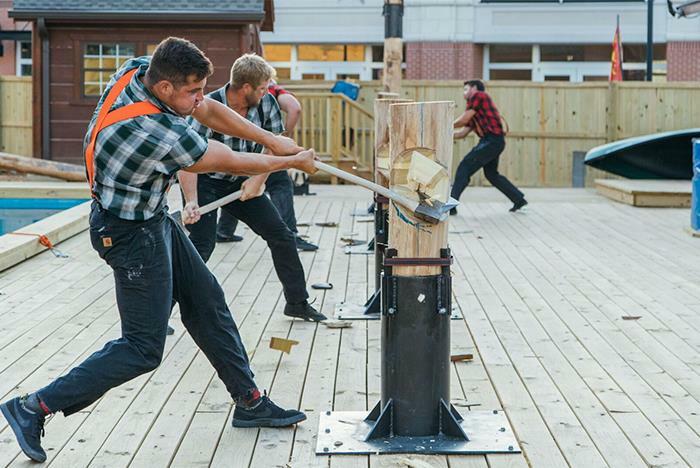 World-class lumberjacks represent both families in a variety of thrilling, fast-paced tests of skill and prowess ranging from chopping and axe throwing to tree climbing and log rolling. 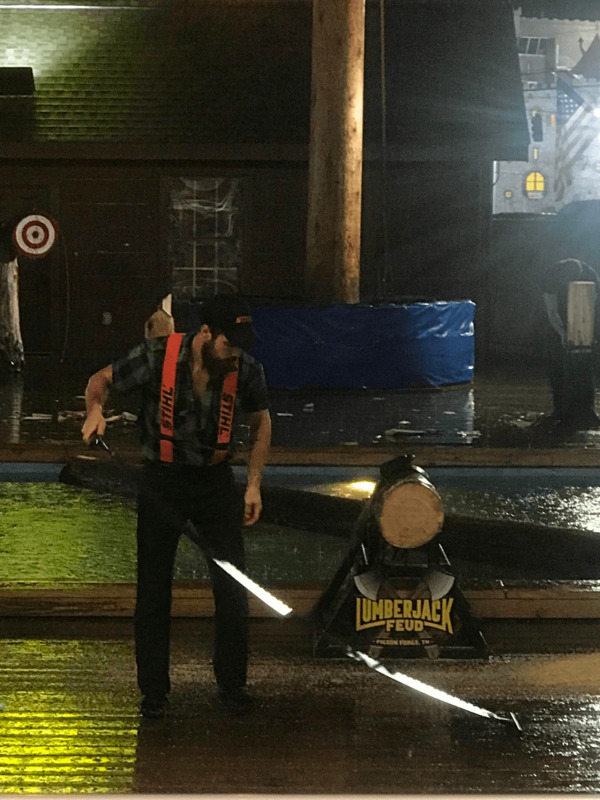 Guests become part of the experience as they join in the competitive spirit, cheering for their Dawson or McGraw lumberjack family. 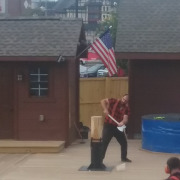 And children are invited to try their hand at cross-cutting with a lumberjack during the show’s intermission. 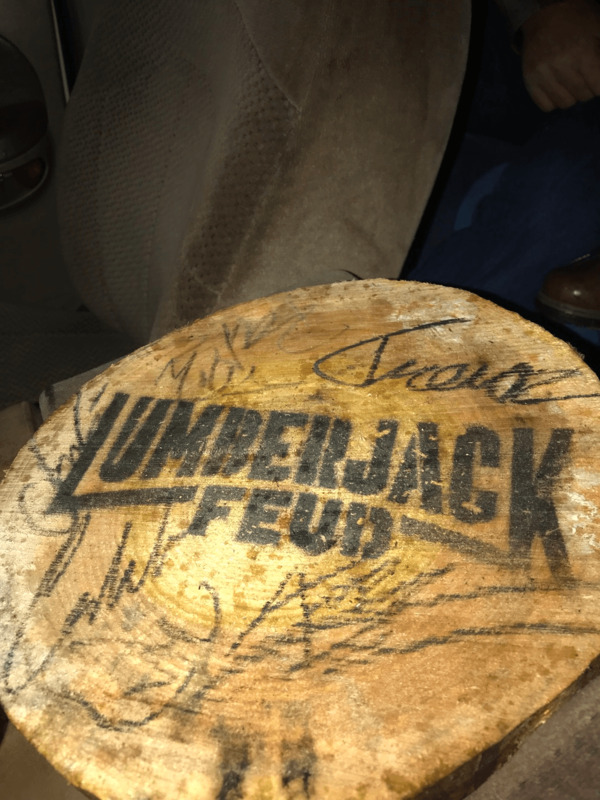 Located at Lumberjack Square, the 350-person outdoor venue home to Paula Deen’s Lumberjack Feud will feature padded seating under a covered, climate-controlled grandstand designed for the guests’ comfort. 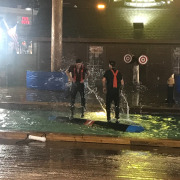 The show will operate rain or shine with the season running through December. Please Note: This show is NOT a dinner show. 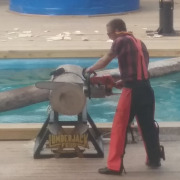 However, several restaurants are located nearby in the Lumberjack Square. Do I have to participate in the show? No. 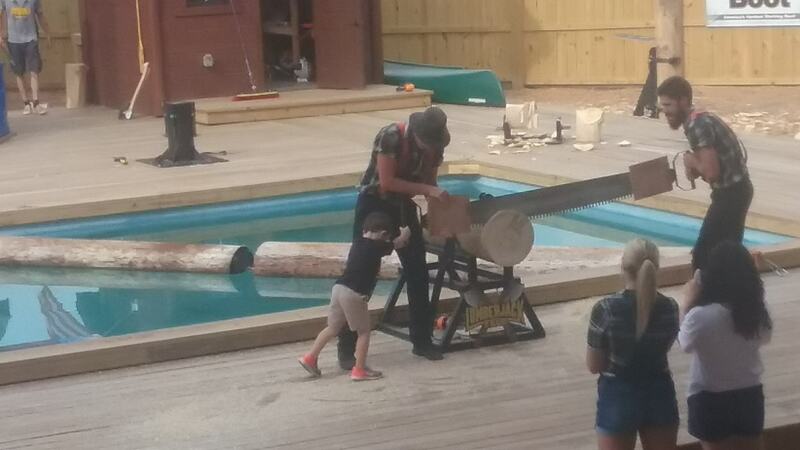 Audience participation is voluntary. 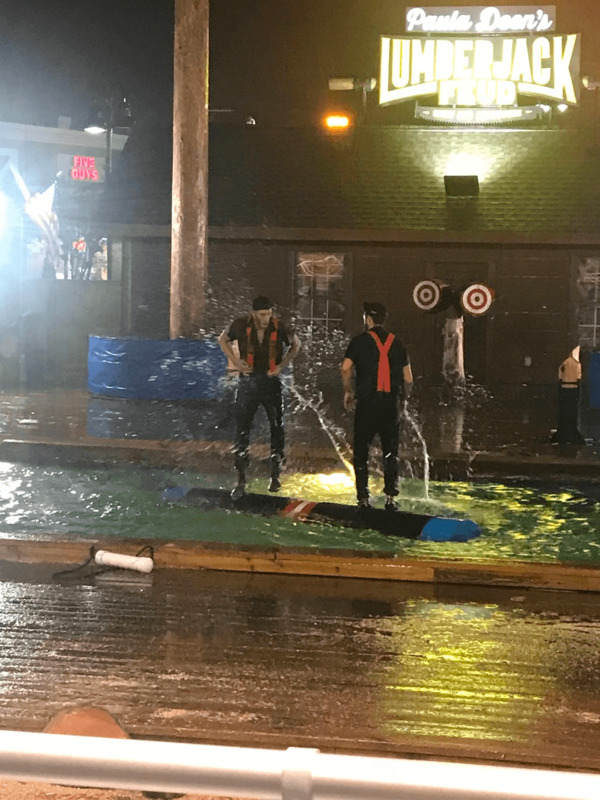 Does the show go on if it rains? Yes. 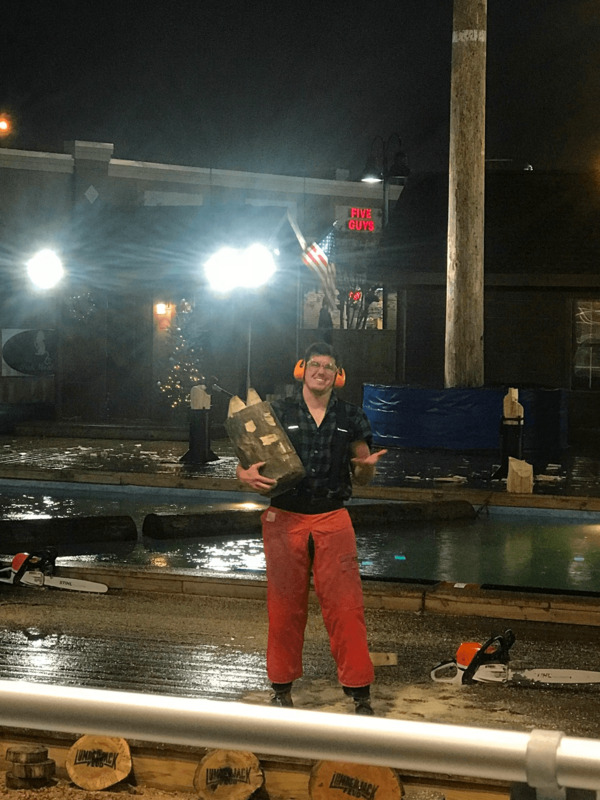 The outdoor venue provides coverage from the rain. 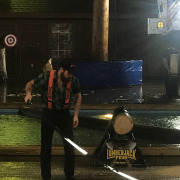 Therefore, shows are performed rain or shine. 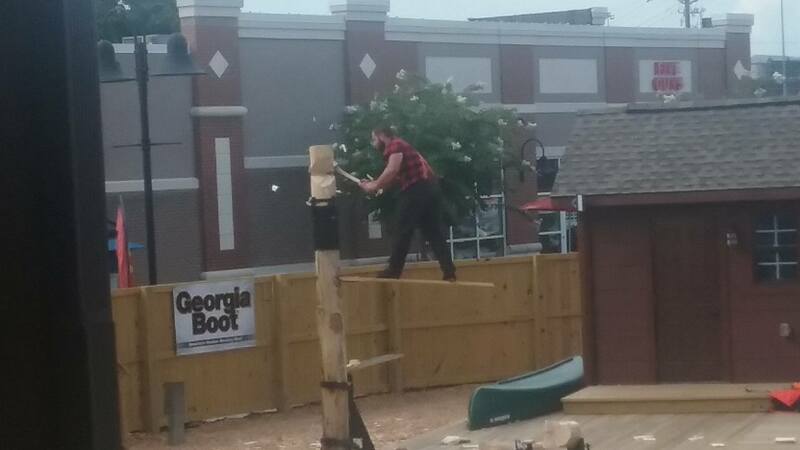 Is this a dinner show? No. 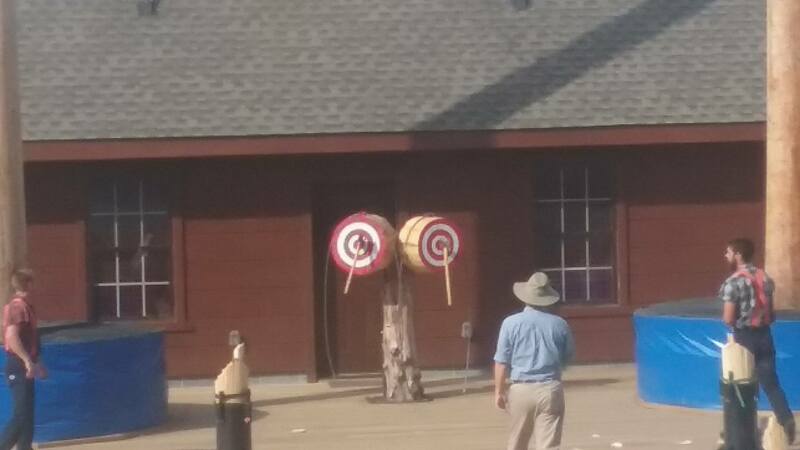 However, several restaurants including Smoky Mountain Brewery, Calhoun's, and Five Guys Burgers are nearby. 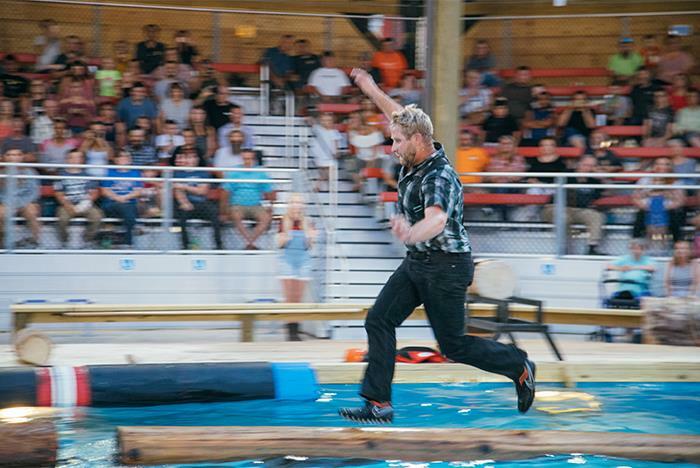 Please arrive at least 30 minutes prior to show time. Seating is on a first come first serve basis. Yes, the facilities are fully accessible for individuals with special needs. If any members of your party have a wheelchair or other special needs, please make note of this when making your reservation so we may accommodate you. 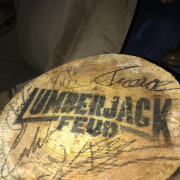 Paula Deen's Lumberjack Feud is located at Traffic Light #2B at Lumberjack Square — 2530 Parkway, Pigeon Forge, TN 37863. Absolutely. 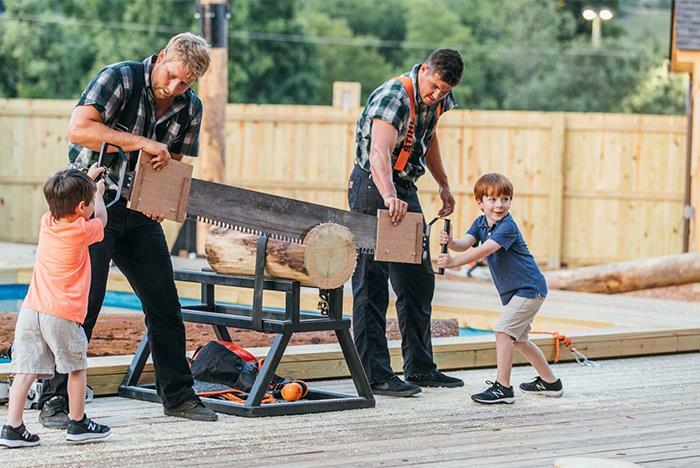 Paula Deen’s Lumberjack Feud is designed to entertain audiences of all ages. Yes, there is ample free parking. Handicapped parking is available on a first come, first served basis. We recommend arriving early to secure a parking spot close to the venue. 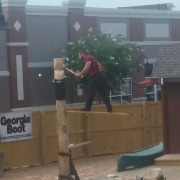 Are visitors allowed to meet and greet the lumberjacks? 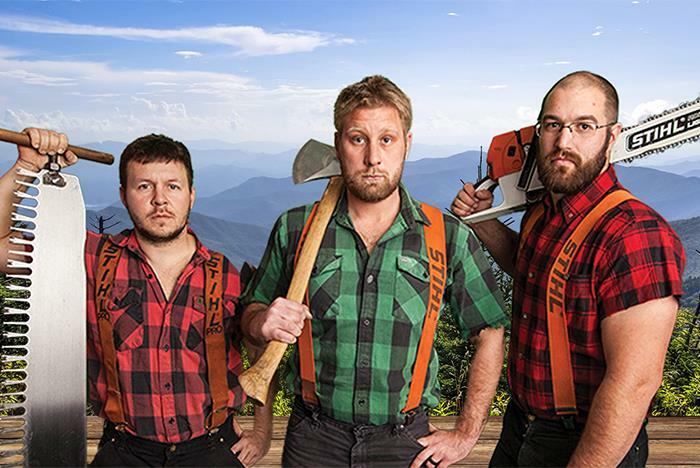 Yes, audience members may meet the lumberjacks after the show. 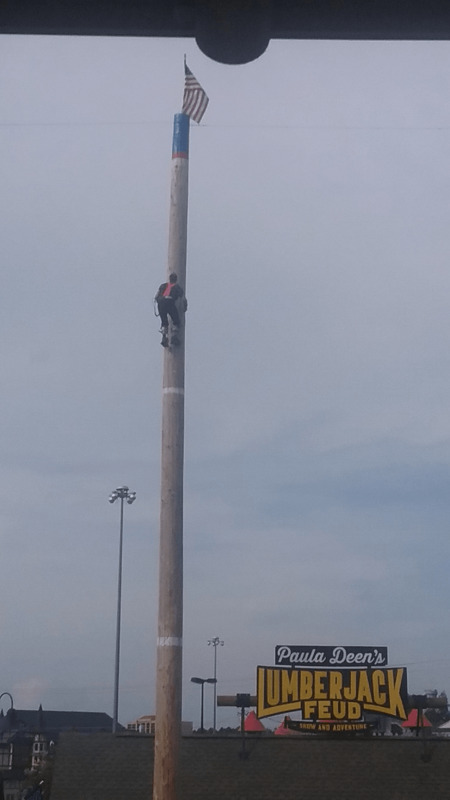 Are cameras, audio or video recording allowed? 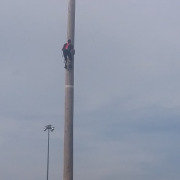 Cameras are allowed during the performance, but video is strictly prohibited. 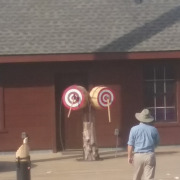 The show is approximately 90 minutes long. Are food and souvenirs available for purchase? Yes, we have a concession stand and retail shop. Our covered grandstand ensures that you will stay dry, shaded, and comfortable during any type weather. 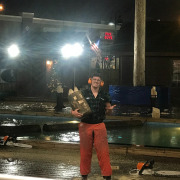 Also, our jacks are tough, so shows will only be canceled in the case of severe weather which is deemed dangerous for the crowd or our lumberjacks.